Services (GBS) Iskandar initiatives. The Iskandar Professional Suites is within the Meridin@Medini development, a mere 3-minute drive to Medini Central Business District. The signing ceremony of the strategic partnership was held at the brand new Ramada Meridin, Johor Bahru. Representing Mah Sing was Mah Sing’s Chief Executive Officer, Datuk Ho Hon Sang while i2M was represented by i2M’s Managing Director, Zulfiqar Zainuddin. The signing of the partnership was witnessed by Johor Consumerism, Human Resources and Unity Committee Chairman, YB Dr S Ramakrishnan. Also in attendance were Mah Sing’s Senior General Manager of Development (Southern Region), Benjamin Ong and i2M’s Vice President of Ecosystems Development, Encik Norsham Hasani. 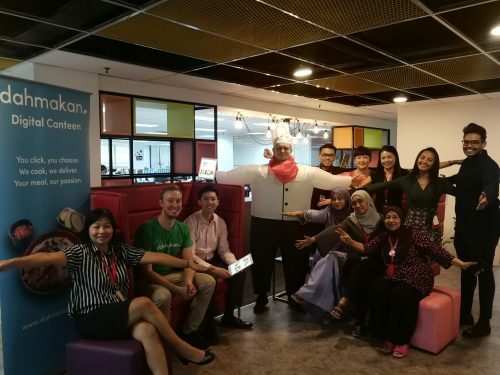 As part of this partnership, Mah Sing will allocate the fully furnished Iskandar Professional Suites as accommodations for the working talents of the participating companies. 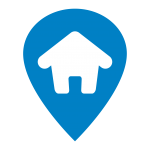 The companies and tenants have the option of choosing a studio unit or twin sharing studio unit with built ups ranging from 341 square (sq) feet (ft) to 603 sq ft. The units come with induction cooker, heated shower, air conditioning units, lightings, beds, wardrobe, study tables and chairs and a refrigerator. This would be a hassle-free move in for the tenants. 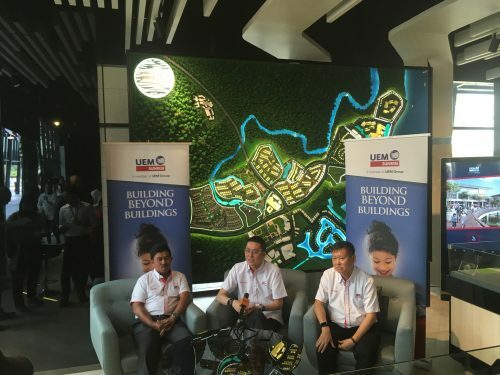 The Iskandar Professional Suites’ tenants will get to experience the full recreational facilities within the Meridin@Medini development such as the swimming pool, gym, multipurpose room, tennis court, and other premium facilities. They also have access to the Meridin Walk Lifestyle Mall that will cater to their shopping, dining and entertainment needs, and fully experience Meridin@Medini’s Live, Work, Relax and Rejuvenate concept. Access to the Iskandar Professional Suites will be controlled using key card access which will provide peace of mind and added safety for the tenants. 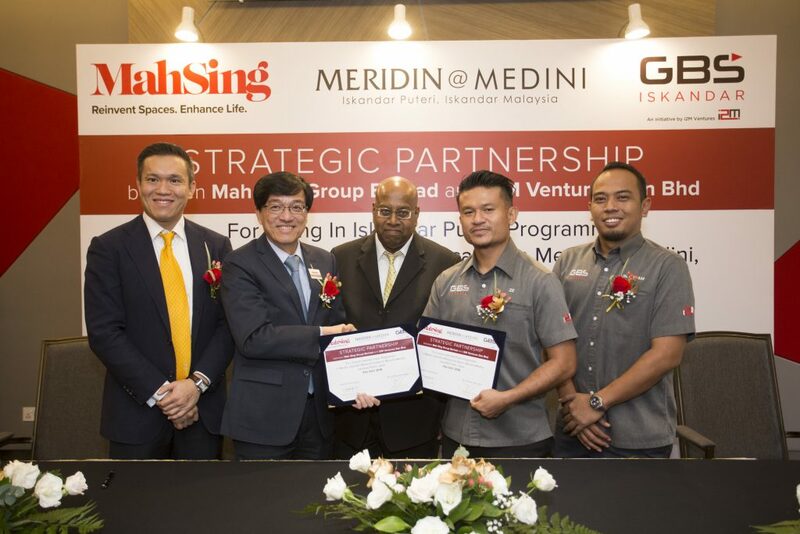 Mah Sing is also committed to providing High Speed Internet for Meridin@Medini which will benefit both the tenants and the residents of the development. Accommodation is available to move in immediately while the employees of GBS Iskandar Companies are offered a special rate. Applications for the special accommodation can be applied via the employers. In addition to being a stone’s throw away to Medini Central Business District, Meridin@Medini is nestled in the heart of the Iskandar Puteri region. 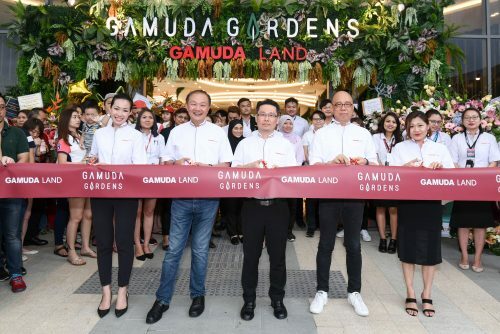 The development fronts the protocol road to Kota Iskandar and is only 10.8km from the Tuas- Singapore Second Link and 22km from Johor Bahru City Centre and the Customs, Immigration and Quarantine Complex (CIQ). Other key landmarks located near Meridin@Medini is Legoland Malaysia (1km), Pinewood Studios (3km) and Puteri Harbour (4.2km). The first phase of Meridin@Medini’s residential component, comprising of 756 units of residential suites, was successfully handed over in June 2017. Vacant Possession of the second phase has started from April 2018 and comprises 583 units of Meridin Executive Suites, Meridin Walk Lifestyle Mall comprising 188 retail units, and 2 block of hotel suites, Ramada Meridin comprising 644 hotel suites. Ramada Meridin had its soft launch in July 2018 and is managed by leading hotel management company, Topotel. Mah Sing is pioneering co-living spaces in Iskandar Malaysia with its first foray in Meridin Executive Suites. The unique concept of comfortable living with shared common spaces, bringing together a vibrant community in Medini is an instant hit with this project.